REMOTE CONTROL: smart wifi socket compatible with Amazon Alexa, Echo Dot and Google Assistant. At home or when you go out ,use Wi-Fi and mobile Networks to operate APP. Perfect for Household Appliances Lamps, Lighting & Electrical Equipment. ENERGY SAVING: Convenient timer function work on your smart phone, perfect for lighting and other appliance with per-set on/off functions, make sure device can be powered off when not in use for energy saving. 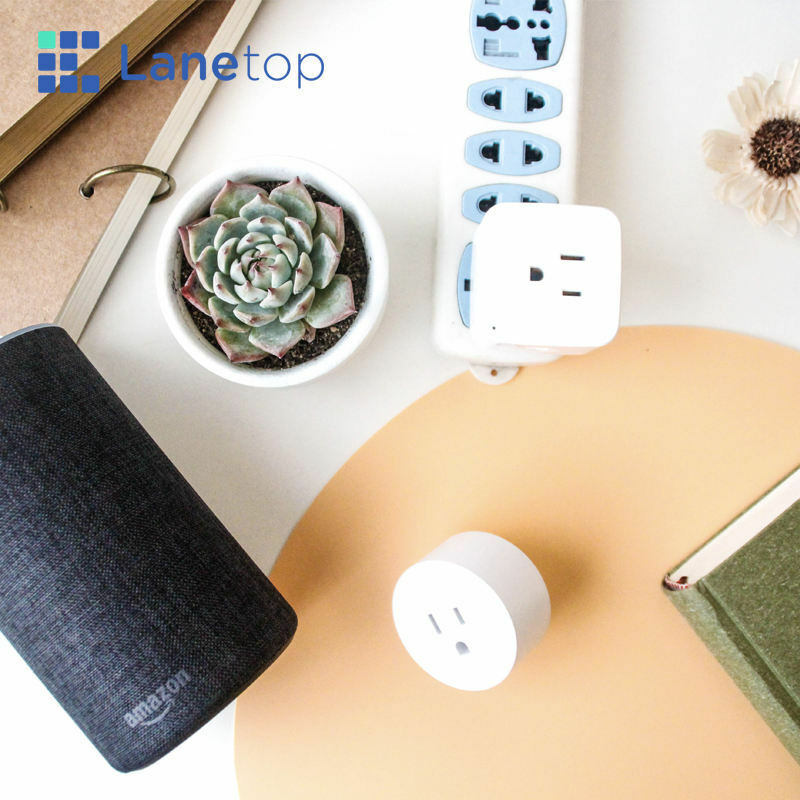 SMART VOICE CONTROL: The Smart Plug compatible directly with Amazon Alexa and Google Assistant to manage your devices through Voice Control. Assign a name to each Smart Plug and communicate each plug by name when making a voice command. Support IOS and Android system. WARRANTLY POLICY: LaneTop Smart Socket got the FCC,CE,ROSH,ETL certificate. LaneTop will provide 1 year warranty. If you have any question, please email us in 24hours. We will solve the problem without hesitation until satisfaction.